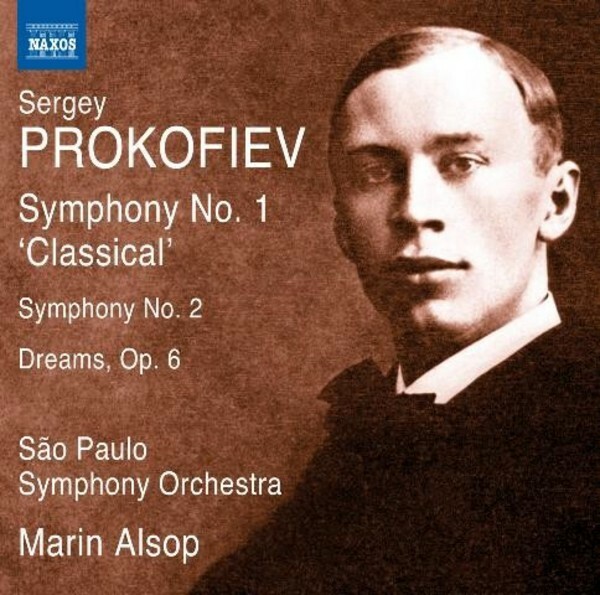 Prokofiev had written two symphonies as a student but his first numbered work in the genre was the Classical Symphony, completed in 1917. This evokes, melodically though not necessarily harmonically, the world of Haydn and Mozart, and it has remained one of his most popular works. The Second Symphony, by contrast, is a work of �iron and steel� (in the composer�s words), a symphony of conscious modernity and visceral power. Dreams, a �symphonic tableau�, reveals the potent, early influence on Prokofiev of Scriabin. Of Marin Alsop and the S�o Paulo Symphony Orchestra�s recording of the Fourth Symphony and The Prodigal Son (8573186), International Record Review wrote: �Conductor and orchestra both shine with the excitement of a special relationship in the ascendant�.